Transform your life and career on our special one-off Yoga Alliance Accredited RYT-200 yoga teacher training in Sri Lanka. Transform your life and career with a Yoga Alliance accredited Yoga Teacher training in Sri Lanka. Experience the bliss of our luxury beachfront location – surf, pool and sun – while studying and deepening your yoga knowledge and practice. This course is a fulfilling and life-changing journey both for those who wish to teach yoga and those who are ready to embark on a personal journey of self-enquiry. For those who wish to teach, the training will provide you with the knowledge and confidence to lead classes and worksops. You will gain the skills to teach safe and engaging classes to share your love of yoga with the world, with a Yoga Alliance RYT-200 Qualification. This training provides an incredible opportunity to be with like-minded people, to come to know yourself, to connect to your true nature, to embrace new relationships and ideas and to acquire new tools to empower you to move through life with greater joy, passion and ease. We are so lucky to be teaming up with Talalla Retreat Centre for our Santosha Sri Lanka Yoga Teacher Training! Experience the once-in-a-lifetime bliss of living in this stunning resort centre – at incredible an incredibly low cost offer designed for our Santosha students. Enjoy the pristine beach-front access, luxury surrounds, lush jungle gardens and pool – the perfect backdrop for the teacher training journey. You’ll be the envy of all your friends living in this tropical paradise! Talalla Retreat is a beach front resort on a pristine, white sandy beach with calm turquoise water. 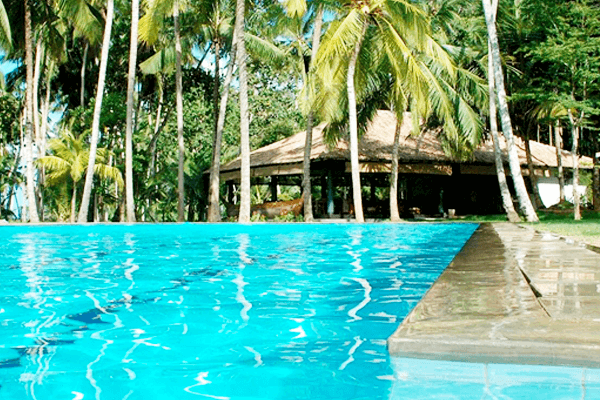 Talalla Retreat is just that, a retreat from your everyday life into a beach and paradise escape. The resort sits on a pristine un-spoilt beach still hidden from tourists and travelers and only visited by the local fisherman during their daily catch. Facilities include a 20m freshwater lap pool, three custom built yoga pavilions, an Ayurvedic spa, and a gourmet open-air restaurant serving the freshest healthiest meals with organic vegetables from our own vegetable garden. Elegantly designed rooms include open air marble bathrooms, private patios, and great views of the lush gardens or the Indian Ocean. For those on a budget there we also offer affordable dormitory accommodation in a beautiful old colonial house at the top of our highest hill — making you eye-level with the treetops. If you’re interested in spending your days off hitting the surf, Talalla offer private lessons, surf guides, and surf and SUP board hire/transport to the best waves on the South Coast of Sri Lanka. Talalla take all the stress out of visiting an exciting new location – in one step they will not only book your room in their gorgeous beachside retreat centre – but also arrange return pick up and drop off to the airport, meaning your travel to the training will be effortless and stress-free. Choose the accommodation option to best suit your budget – from shared to bungalow. For those who wish make the most of this opportunity to immerse yourself in the outstanding natural beauty of this stunning island and explore further, Talalla can assist you with onward travel arrangements – either solo or with your new yoga friends. 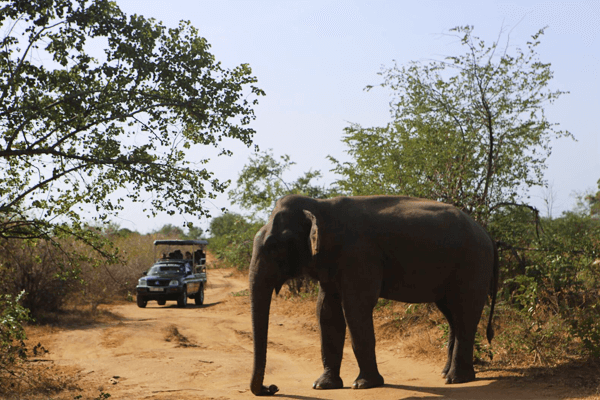 Sri Lanka – Surf, Jungle and Temples! 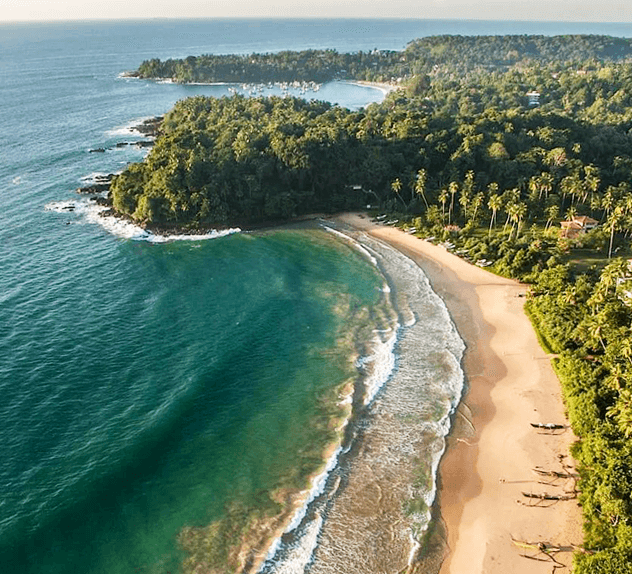 With its endless pristine beaches, luscious rain-forests, colorful temples and perfect opportunities for surf, sea and sun – Sri Lanka is the hidden gem you’ll be glad you discovered before everyone else does! 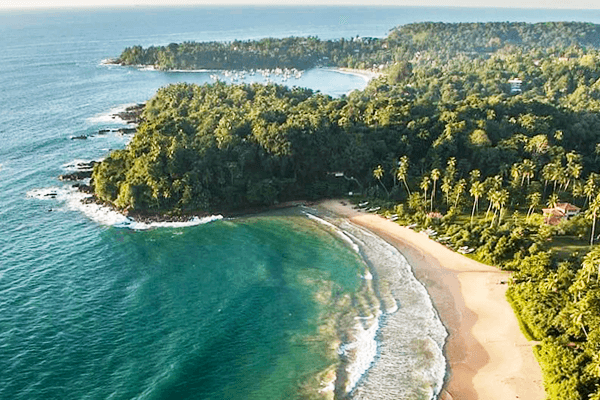 Voted Lonely Planet’s #1 Top Country for travel in 2019, Sri Lanka is an alluring land filled with natural beauty, culture and uncrowded beaches and waves. 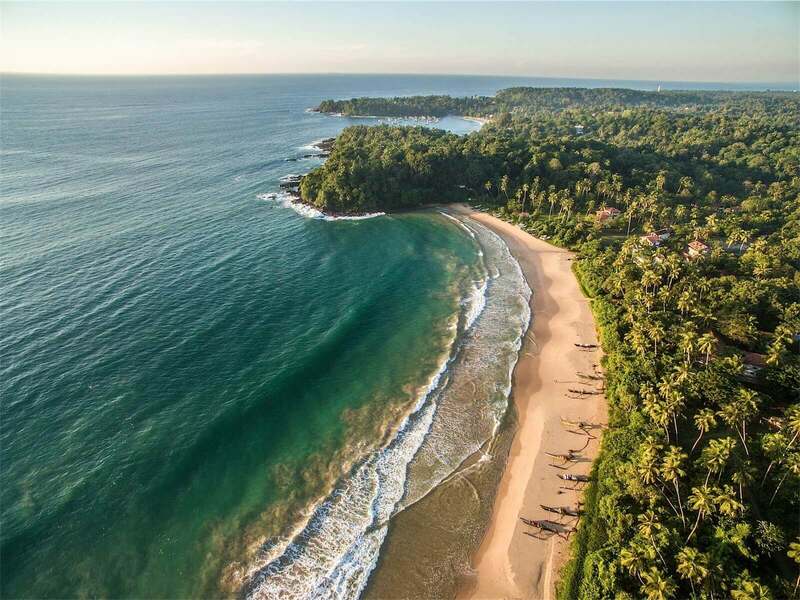 From visiting breathtaking ancient temples, exploring wild jungles and exotic wildlife to being blown away by the sun setting over miles of uninterrupted beaches – Sri Lanka will enthrall and enchant you many times over. 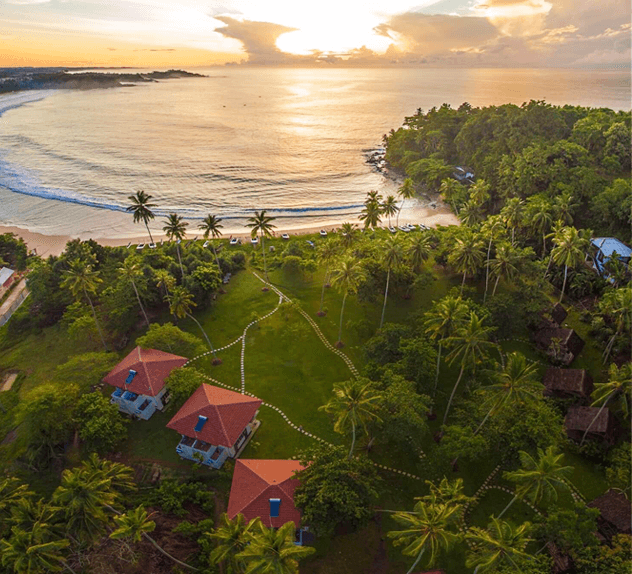 Imagine the opportunity to transform your life and career with a Santosha Yoga Teacher training – surrounded by natural beauty, surf and the lush garden setting of our Sri Lankan venue – Talalla Retreat Centre. 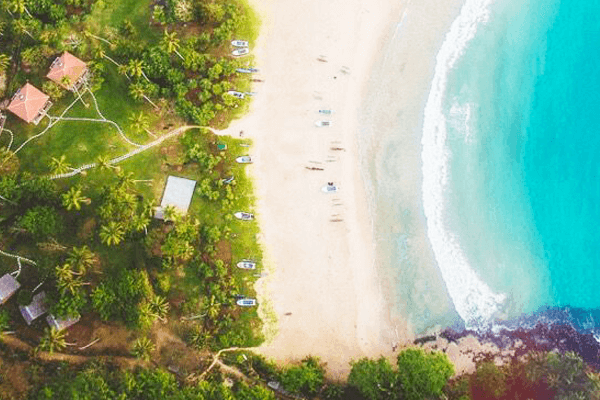 Transform your mind, body and soul – experience the beauty and wonderment of this jewel of an island – with Santosha in 2019. If you, like hundreds of happy students before you, know that this is for you, then take action today and secure your place now. Save AUD $200 off the full price when you pay for your course in full 2 months prior. Price is for tuition only – does not include Airfares, Accommodation or Meals. * All prices are in Australian Dollars. To calculate current conversion rates in your local currency, check today’s exchange rate here. Please note there is a $350 AU non-refundable deposit included in this price, which cannot be returned in the event of a cancellation on your part. Attend our Santosha Yoga Teacher Training, and in the extremely unlikely event that by lunchtime on the first day.... you feel that you do not want to complete the course OR you do not want to become a Yoga Teacher, we will refund your money minus the non-refundable BUT transferable deposit fee. Santosha wants to make it totally risk free for you, because we believe that once you begin this journey, your life will change in such a way you could never have imagined!